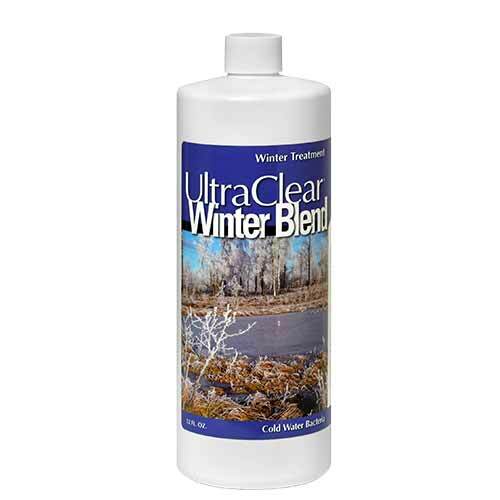 The UltraClear Winter Blend is specifically formulated for fall-winter-spring treatment of your pond. Its probiotic formulation of select beneficial bacteria ensures your pond has the required bacteria to maintain a clean pond & healthy fish during the colder months. Start using when water temperature falls below 55 degrees F.